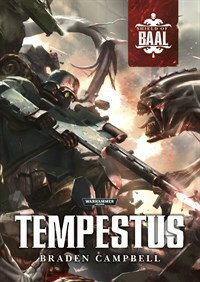 Tempestus is the first book written by Braden Campbell in the Shield of Baal series, a campaign released by Games Workshop that involves the Tyranids. I liked the first book of the Shield of Baal, Leviathan...until the ending, that is, which pissed me off to no end. The second book of the Shield of Baal campaign, Exterminatus was even worse, fuelling my already boiling rage with similar reasons to the Sanctus Reach campaign, but I really like the Sanctus Reach campaign a lot more. But both campaigns had the same trope of the Imperial Guard - now called Astra Militarum because of copyright issues - getting their asses kicked before the supposedly vaunted Space Marines come down to save their sorry asses. We Imperial Guard never get the respect we deserve. Bloody hell. At least the Cadians in the Sanctus Reach campaign actually saved the Space Wolves in the nick of time with the overwhelming firepower their armored vehicles were so well known for, but in Shield of Baal? Nope. We don't even get that little bit of satisfaction. We got totally destroyed and annihilated by the damned Tyranids. Well, anyway, this isn't a review about the Shield of Baal campaign. It's a review of Tempestus, the novella that narrates one aspect of the Shield of Baal campaign, focusing on a squad of Tempestus Scions...except that it doesn't. No, really. Despite the novella being titled Tempestus, the Militarum Tempestus isn't the focus of the story. Instead, the story was better told through the viewpoints of Inquisitor Ulrich of Ordo Xenos, Canoness Grace and Sister Margene. Tempestor Chavis, while the narrator for a huge portion of the novella, is pretty dry and devoid of character. Yeah, I get that he's well trained and tempered into a human weapon by the Schola Progenium, he's emotionless and completely loyal to the Imperium, obeying whatever Ulrich tells him to do, he's cold, efficient and ruthless...but...he feels more like a machine. Even more so than the Skitarii or Tech-priests from the Adeptus Mechanicus. In this aspect, Rob Sanders, who wrote Skitarius and Tech-priest, excels in characterizing supposedly emotionless and mechanical characters, much more so than Braden Campbell. That is not to say Campbell is a poor writer. No, not at all. He does a very good job in fleshing out the Adepta Sororitas, the Sisters of Battle, with Canoness Grace particularly standing out as a very strong woman with a powerful personality and good faith. Ulrich, unfortunately, falls into the old, cliched trap of being the typical self-centered villain who only does stuff for his own self-interests and benefits, only to once again fall victim to the same old cliches that consume such villains. Still, he provides an interesting viewpoint from the Inquisition, even if he isn't Gregor Eisenhorn or Amberley Vail, he gives the story a much-needed direction amidst the incoming chaos of the Tyranids' invasion. Campbell also did well in bringing in Lovecraftian themes by including Cthulhu mythos and other disturbing elements. Mutations being seen as bestowments being a good example, and the legend of Shelse, the goddess of brine pining for Ixoi, the moon god. Such mythology and the native cults that worship Shelse bring a lot of detail into the story, building quite an elaborate world where it isn't just the imperial creed that believers believe in. The Tempestus Scions, on the other hand, are disappointing. Tempestor Chavis is quite dull, to be honest, as is his squad. Yeah, they are the elites, but they don't feel like it. They just feel like an Imperial Guard squad of troopers who got brainwashed, indoctrinated and armed with better weaponry and vehicles. The Taurox Prime was certainly an interesting addition to the story, but it would have been better to see the Tempestus Scions Deep Striking from the air from their Valkyries and actually do something befitting their status as the best of the best, the most elite of the Imperial Guard. I would much rather read about the Cadian Kasrkin, at least they have much more personality and motivation. Chavis and his squad are just dull....much like the dull and unfeeling Grenadiers of the Death Korps of Krieg from Dead Men Walking by Steve Lyons. And I didn't like Dead Men Walking either. The action scenes are where Tempestus excels in, but as I said, they don't really do the Tempestus Scions justice. They don't feel like elite warriors, just Guardsmen armed with more powerful Hotshot lasguns. So they experienced the toughest and most Spartan training the Imperium has to offer (and that's saying a lot) and all they can do is...shoot better with more powerful weapons? Sure, they may be disciplined, fearless and ruthless, but so are the Cadians and Catachans. Hell, even the Valhallan Ice Warriors in Ice Guard, also by Steve Lyons, seem just as disciplined and determined as the Tempestus Scions. I like Ice Guard a lot more than Dead Men Walking, as you can tell, so Lyons isn't a bad writer. Being a novella, the length of the story isn't sufficient to provide character development and growth for the Tempestus Scions, and this is further aggravated by splitting the story into several viewpoints. Just as well, since the threads involving the Adepta Sororitas - especially Canoness Grace - and Inquisitor Ulrich are more interesting anyway. It would have been more gratifying if Tempestor Chavis grew more independent and developed more of a character or personality rather than just obeying orders all the time, questioning Ulrich and his motives while maintaining his loyalty to the Imperium, or clinging to his faith with determination like Halrdon-44 Stroika did in Skitarius. 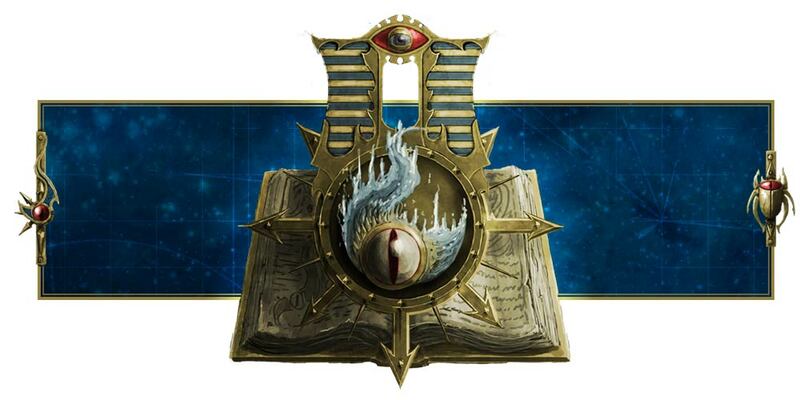 We didn't get that, and there probably isn't enough length to delve into that anyway, plus the fact that the Sisters of Battle make for better characters means this book shouldn't have been titled or Tempestus or tried to focus on them. Overall, Tempestus makes for a fun read, but don't expect great characterization or hold high hopes for the supposedly elite Militarum Tempestus.